Border Police officers arrested a suspect for the murder of Ori Ansbacher HY”D, the young woman brutally killed in Ein Yael forest in southern Jerusalem on Thursday. 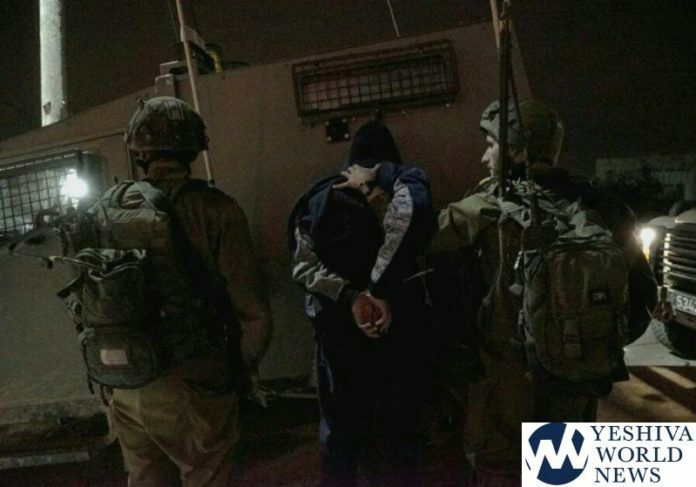 The suspect, identified as 29-year-old Arafat Erfaiyeh from Hebron, was arrested on Friday night. The Israel Security Service (Shabak) gathered intelligence information identifying Arafat as the killer and located him near Ramallah, in Israel illegally. The arrest was made in a joint operation between Civilian Counter Terrorism Unit (Yamam) and the Border Police. Ever since Ansbacher’s body was found in Ein Yael, Shabak and the Israeli police worked tirelessly using a number of different methods in order to identify the identity and whereabout of the murderer. After his arrest, Arafat was interrogated by the Shabak and it was revealed to Israeli media that he left Hebron on Thursday morning carrying a knife. He made his way to the Palestinian village of Beit Jala and began walking towards the forest. At the forest, he saw Ori, attacked her and killed her. The interrogation is ongoing and the motive is still being ascertained. A gag order has been put in place on the rest of the details of the investigation.